... and talk about how Ellie Kemper's Oscar dress would have made an amazing fire dress for Katniss? I swear, Armani totally stole this idea from Cinna. Sidenote: I think Stanley Tucci will make a great Caesar Flickerman. 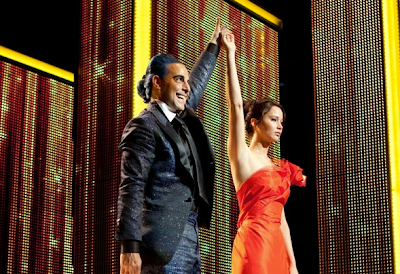 Is it just me who doesnt know who Katniss, Cinna and Caesar Flickerman are? They are Hunger Games characters.